Purpose: To recognize the difference between meal frequencies and some specific food frequencies with or without family among Saudi adolescent females in Riyadh city. Design/methodology/approach: Five hundred and twenty Saudi females aged between 13 and 19 years (mean age = 13.74 ± 1.10), who were attending middle school in Riyadh city, Saudi Arabia, participated in this cross-sectional study. All participants completed a questionnaire regarding the frequency and location of meals and their food intake during the 2009-2010 academic school year. A variety of measures of central tendency and variability were used to describe these data, and the nature and strength of possible relationships were investigated using Spearman’s rank correlation coefficient, analysis of variance, LSD, and t-tests. All data were analyzed using SPSS.17 software. Findings: The majority of participants gathered with their families to eat three major meals a day (breakfast, lunch and dinner), participating in these meals 74.8%, 95.6% and 92.9% respectively. Higher family meal frequency was a significant increase (p < 0.01) in average number of times per week that the participants consumed chicken, meat, fish, shrimp, eggs, rice, bread, beans, cheese, yogurt, milk and dairy, fruit juice, fresh vegetables, cooked vegetables, fresh fruits and pastry at home. In contrast, a significant decrease was observed (p < 0.01) in the average number of times per week sweets and chocolate, soda, drinks, snack, fast food, cornflakes and energy drinks were consumed during meals taken by the adolescents when eating with their families. A Spearman correlation showed a positive significant correlation (p < 0.01) between family cohesion and food consumption patterns. 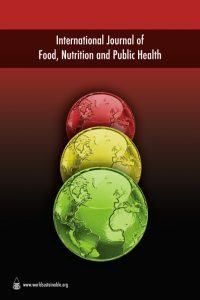 Practical implications: It is clear from these analyses that there is a significant decline in the consumption of healthy foods when adolescent females in Saudi Arabia eat outside the family setting. To what can this be attributed? Access to fast food? Lack of discipline or time? Lack of awareness of the health implications? What public health policy or actions need to change to offset this pattern? The importance of family meals for their contribution in raising the quality of the food intake of adolescents must be highlighted.